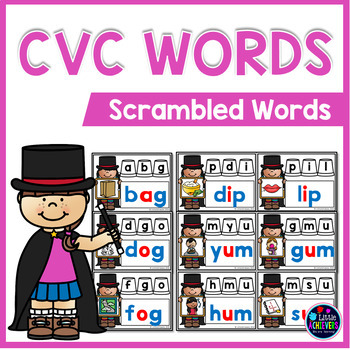 CVC Word Scramble - Show Your Magic: Your students will love unscrambling CVC words with these fun-filled, magician-themed cards. 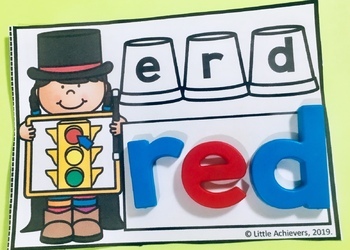 This packet includes 108 cards, recording sheets, and reference picture charts. 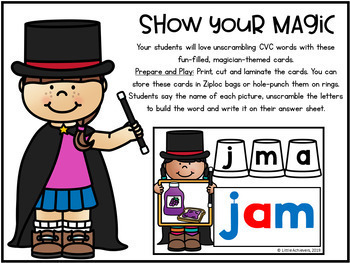 Prepare and Play: Print, cut and laminate the cards. You can store these cards in Ziploc bags or hole-punch them on rings. 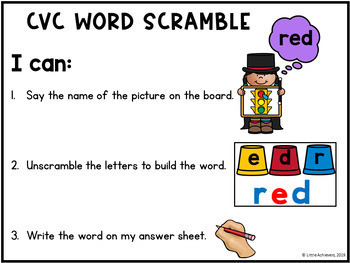 Students say the name of each picture, unscramble the letters to build the word and write it on their answer sheet.